In November 2009, representatives from twenty-five organizations—all working toward greater opportunities and advancement for the underrepresented in the United States—came together to formally launch the Global Access Pipeline (GAP) project. 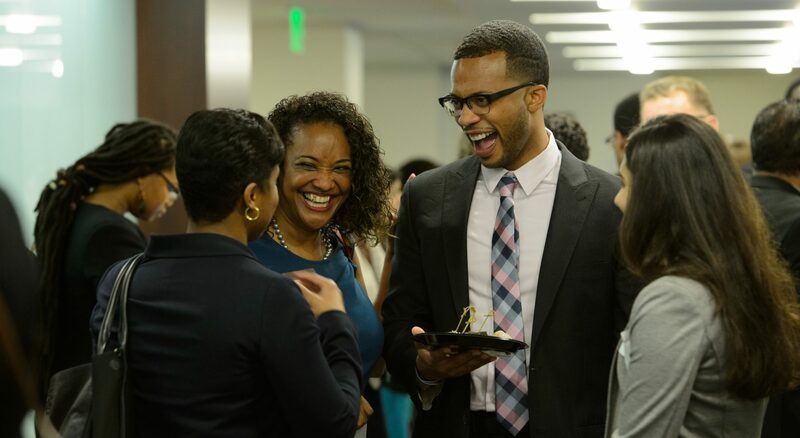 Organized by the International Career Advancement Program with support from the Ford Foundation, the GAP conference mobilized experts ranging from pre-collegiate, collegiate, mid-career programs to research and policy institutions at the Ford Foundation headquarters in New York City. A general consensus developed around the GAP project’s potentially significant impact and benefits due to its unique comprehensive approach. A pipeline that extends from pre-collegiate, college and graduate school to early/mid/senior careers provides real potential for positively impacting public, private and philanthropic sectors in the international arena. Over the course of the conference, participants committed to initiating new linkages between organizations for a lifelong pipeline from early education to senior-level careers in the international arena. Since the 2009 conference, the consortium has focused on coordinating programs, collective measures and joint projects for the underrepresented to achieve leadership roles in the United States across government, nonprofit, and private sectors. The pipeline begins with pre-collegiate and collegiate programs leading to mid-career programs and finally senior-level positions. At the pre-collegiate level, the GAP project aims to facilitate gifted students becoming candidates for key leadership positions and networks that are both inside and outside of the consortium. After completing the pre-collegiate GAP process, GAP students ideally acquire academic, social and cultural competencies that are must-have assets in their chosen field. For example, a GAP student might be expected to have multilingual skills, have excelled in a volunteer position or an internship for a public or private sector institution, and rank in the top third or higher of the senior class. Developing clear GAP identifiers for pre-collegiate students to excel is a critical initial step. The GAP project simultaneously seeks to leverage the capacity of the consortium to have a broad systemic impact. Together the 25 consortium organizations provide a defining footprint in the steps toward changing leadership to reflect the rich diversity of the United States at home and abroad. Bilateral and multilateral collaborations within the consortium can only serve to encourage larger numbers of students to be placed in key leadership-track positions to become top scholarship recipients and well-placed interns. Leveraging travel and staff resources across the consortium in recruitment efforts for programs drawing on similar populations. While mid-career programs encompass a wide range of programs, a mid-career program is typically aimed at arming highly credentialed, qualified and inspired participants with career strategies and skill enhancements that afford them greater opportunity to overcome the “glass ceiling.” Mid-career programs also offer nuanced practical knowledge, enhancing previous formal training, career planning and guidance. These are also forums for processing concerns about personal identity and roles in areas such as achieving the optimal work-life balance and avoiding professional burnout. In addition, mid-career programs provide participants opportunities to meet other highly talented peers in their field and to interact directly with senior-level professionals, who share their experiences and provide advice in overcoming obstacles. Given these common elements, mid-career programs can benefit from the GAP project through increased cross-pipeline exchanges. Sharing proven best practices through the establishment of online forums and planned meetings further ensures addressing the needs of future cohorts and program alumni. Cross-pipeline interactions may eventually include formally documenting “pathway through GAP” narratives that demonstrate how participation in multiple GAP programs has facilitated individuals moving beyond the glass ceiling. In addition, consortium-wide formalized program evaluation approaches may further reinforce the power of these narratives. While increased information exchange/flow is important between members of the GAP consortium through existing communication channels about new professional and other opportunities, in the long term, sharing membership lists with policy and research institutions may facilitate developing a pool of potential job candidates, speakers and/or members. Exploring novel collaborations and new leadership development activities with alumni, fellows and participants is also natural outgrowth of the GAP project while extending beyond the GAP consortium to secondary networks. For policy and research institutions as well as other employers to fully leverage the GAP project, taking advantage of the GAP project and other pipelines that are available, sharing information such as job openings, mailing lists and a database of well-qualified candidates, as well as participating in and providing best practices between employers and the GAP consortium are all important. GAP partners–the individuals and their organizations–actively participating in the project are provided on the Consortium page.